A very full day today. We started off at 7:30 in order to arrive at Harecastle Tunnel when they open at 8:00. However the first run through of the day was north bound, so we had to wait until 10 to 9. The time was filled by cooking and consuming bacon sandwichs. An easy trip through the tunnel, we were the only south bound boat. Westport lake is a lovely nature park just south of the tunnel. 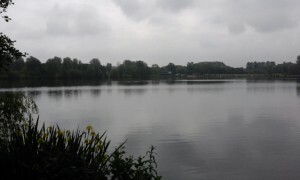 We stopped here, got the bikes out and went for a very pleasant ride around the lakes and surrounding woods. 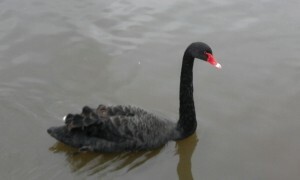 There were lots of water birds including this black swan. I had previously contacted fuel boat Halsall regarding a deisel top up, he said that he would be at Etruria. 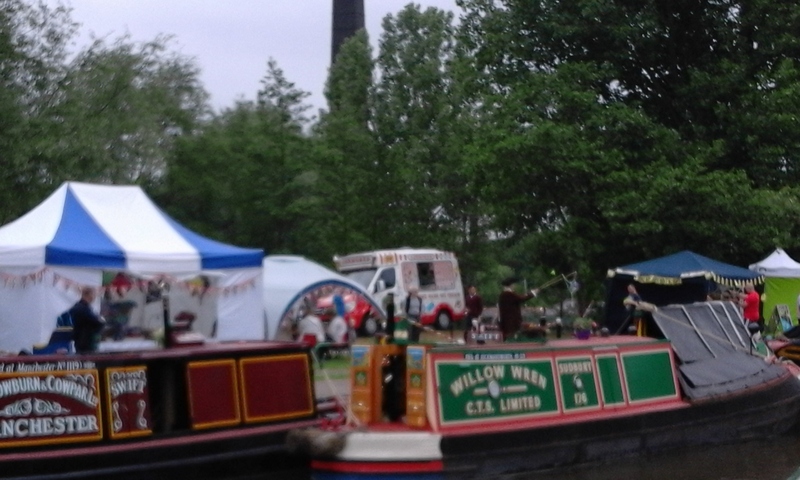 What we didn’t expect was that there would be a canal festival going on which he was part off. The working boats were all moored up a little way up the Caldon canal. So we went up there, filled up, bought a new rear fender, winded and then returned to the Trent and Mersey main line. We moored up just before bridge 104 and decided to go on the Wedgwood factory tour. We wish we hadn’t bothered. It was a rip off. When we arrived we were told that “some of the craftsmen may be finishing up in 15 mins or so”. In fact all but three had already gone. All we saw was an empty silent factory. But they still charged us the full £15.00. We tried to complain at reception on the way out, but all they said was ‘we did warn you’. So if you are thinking of going don’t go on a weekend!